The Alvarez Regent Series is designed as an entry-level guitar that will keep new players focused and excited about their instrument from day one. They're classic looking guitars that encompass many of the features and design elements that our high-end instruments have, like its bi-level bridge, and a rosewood bridge and fingerboard. The models are finished in a high gloss and come in either Sitka or rosewood outfits. 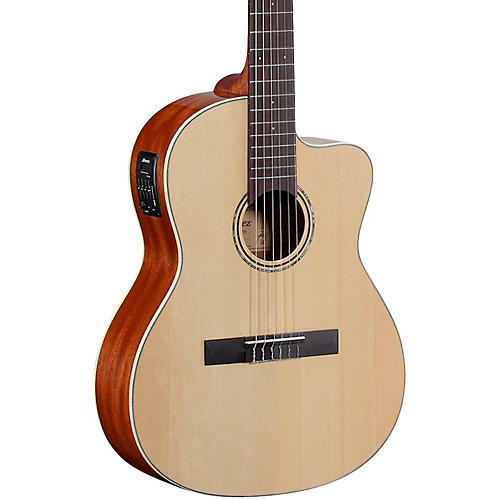 The RC26HC is a hybrid classical nylon string guitar with a steel string style neck that's a bit more comfortable for fretting and chord stretches. It comes ready to plug in with the Alvarez SYS250 preamp by B-Band.